Personalized Beach Safe -Containers with Neck Cord Custom Printed in Bulk. Promotional, Inexpensive and Watertight. Budget Prices in USA and Canada. 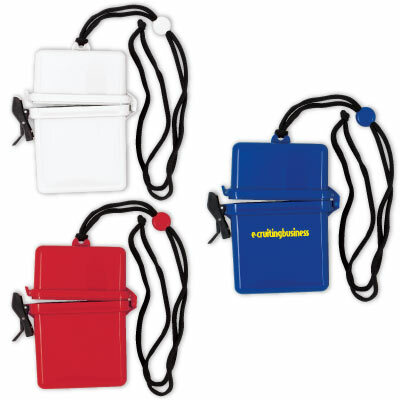 Wholesale Beach Safe with neck cord, custom imprinted with your logo. We also supply bulk blank (not personalized) Beach Safes for $0.88 each. Budget Prices in USA and Canada for personalized Beach Safes. American clients pay no taxes. Production Time: 7 days after art approval; Blank Beach Safe ships next day.